Though I had never purchased a real Christmas tree as an adult like the one we picked out during our most recent HollyDays video shoot at Evans Whispering Pines Christmas Tree Farm, it did bring back fond memories from my childhood. My grandma always had a real tree in her living room every Christmas, and I loved going into her house and smelling it. I don’t know whether to blame it on laziness or just being too busy, but my husband, Kris, and I have always had an artificial tree in our home. I have to say though that after experiencing a fun day at Evans Whispering Pines Christmas Tree Farm, our family may have just started a new tradition. 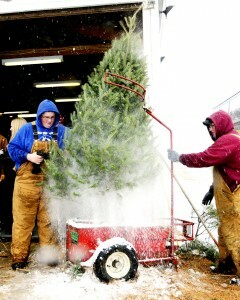 I had never been to this local tree farm at 1538 N. County Road 400 West in Danville before, but I loved it. Our family had so much fun searching through rows and rows of trees on their 40-acre farm to find that perfect one for our home. My kids, Nick, Jack and Noel, especially enjoyed the thrill of the hunt. You have to check it out by clicking on the YouTube link above or by visiting our HollyDays video page . You can also see the entire HollyDays video library by going to the Hendricks County Convention and Visitors Bureau’s YouTube channel. 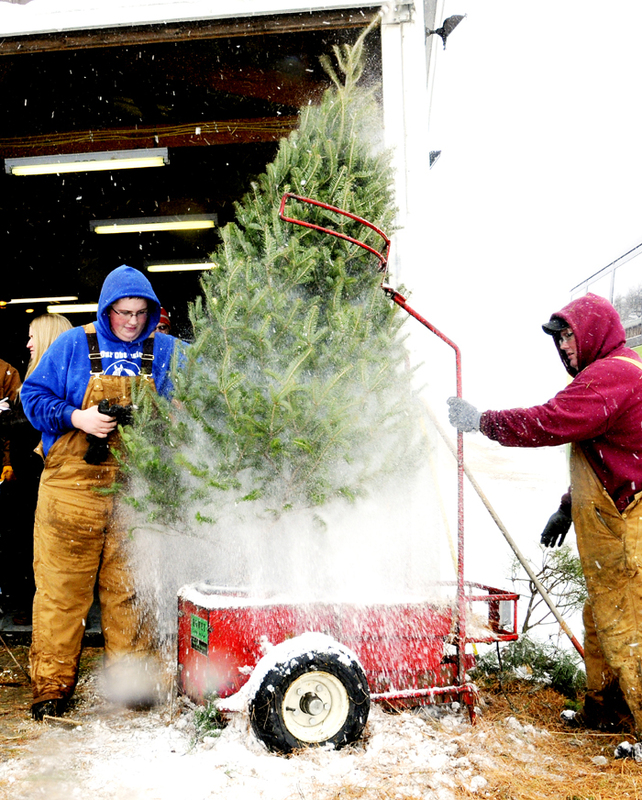 If you’ve never purchased a real Christmas tree, the process is pretty interesting. We especially enjoyed watching the machines work after you pick out your tree. My family’s favorite part without a doubt was the shake machine. We learned this was an important part of the process as it shook out all of the loose debris (like dead needles and dust) the tree accumulated over the years. Then, it was time to watch it go through the baler; it was so fascinating and fun. But the best thing about Evans Whispering Pines Christmas Tree Farm is their service, which comes free with the purchase of a tree. This family-owned operation provided the type of hospitality you would expect from a locally owned business. They are so knowledgeable having done this for more than 20 years, and depending on your comfort level, they will help as much or as little as you like. For our family who had never done something like this before, they helped us pick out the tree, cut it, haul it back to the barn, shake it and even load and tie it down on our car. 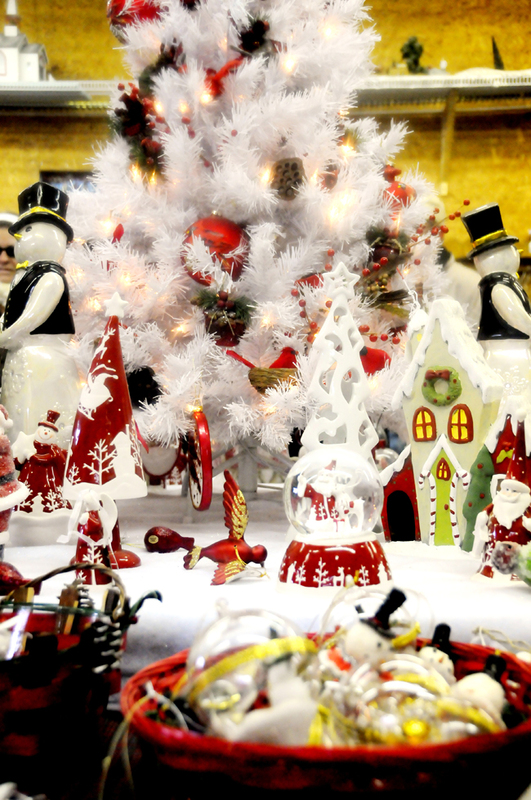 In addition to that, they offer free hot chocolate, coffee or hot tea while you wait and a fun little gift shop to purchase ornaments, handmade wreaths and other neat accents that everyone needs for the holidays. If you haven’t been to Evans Whispering Pines Christmas Tree Farm, start a new holiday tradition and make some fond memories with your entire family this year. The face of Hendricks County holidays since 2010, Holly loves to shop until she drops, and she knows all of the best places for all kinds of unique gifts! Together with her family, she loves experiencing the outdoors, whether it’s getting back to nature at a local park, or at one of the county’s unique walking and biking trails. 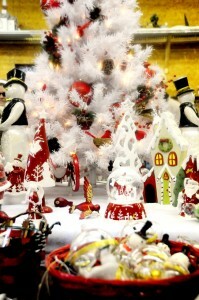 Follow Holly and her family online at www.tourhendrickscounty.com/hollydays.asp.